standard by American Nuclear Society, 01/01/1986. 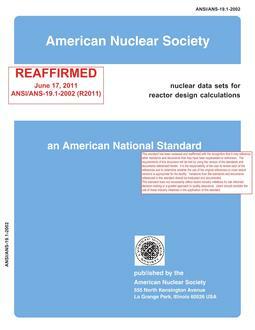 standard by American Nuclear Society, 07/07/2003. standard by American Nuclear Society, 02/22/2019. standard by American Nuclear Society, 01/01/1999. 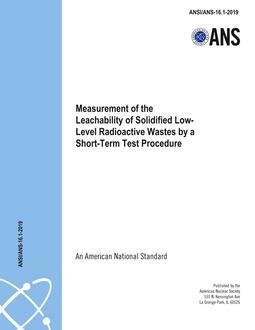 standard by American Nuclear Society, 11/01/2016. standard by American Nuclear Society, 07/23/2002. 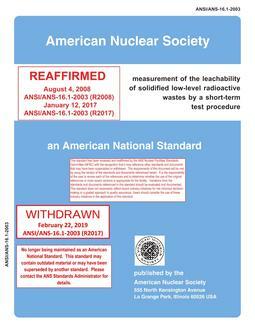 standard by American Nuclear Society, 02/24/2009. standard by American Nuclear Society, 09/25/1997.